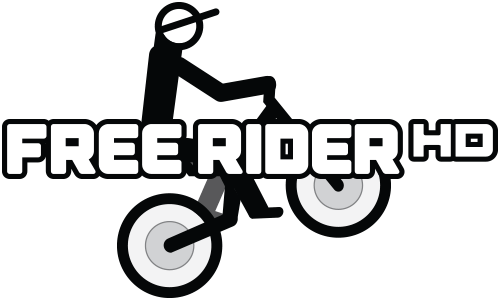 Free Rider 1 & 2 are flash games originally developed by Pete and sponsored by One More Level. Free Rider 2 is the most popular of the 2 versions with well over 500 million plays worldwide and millions of player created tracks. Free Rider HD is the next generation of Free Rider now available to play on any device! Free Rider HD outdoes the previous versions in almost every way possible. With Campaigns, thousands of top Free Rider tracks online, multiplayer racing, achievements, powerful track editor, leaderboards and more, Free Rider HD will keep you entertained for a very long time! Free Rider HD was developed by Kano and One More Level. With the success of Free Rider several un-authorized copies emerged most notable being Canvas Rider for web and Draw Rider for native mobile. In 2018 we released a new "runner style" version called Free Rider Jumps. Earn points by performing tricks and going the distance! Are you using Free Rider in the classroom for education? If so read more here: Free Rider in Education.